Time is of the essence when you need to quickly diagnose an animal that is experiencing pain and suffering. If your staffs have taken X-rays that have not turned out at the level of clarity or quality that you need, you may have a problem with your technology. It’s important for you to cover the process for troubleshooting problems with your staff before this malfunction occurs. In fact, having a flow chart of the exact steps in the process will save time, effort, and can prevent costly call outs for service that impacts your bottom line. 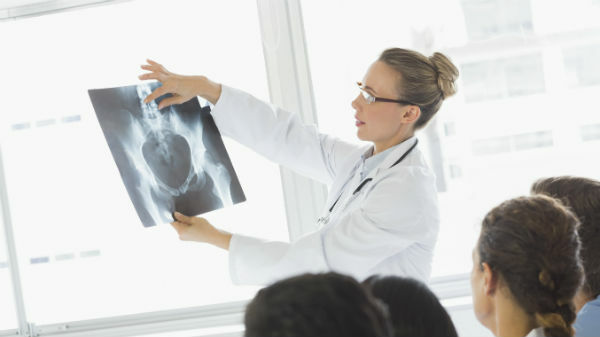 What should your employees do when the X-rays aren’t acceptable to you? Follow the steps below to find and fix problems quickly so that the clients in your office won’t have long waiting times before their animal gets to see you. One of the first steps that your staff should take is to see that the machine is plugged into an outlet that works properly and that the lights of the machine are on. If it is plugged in and still won’t work, you or your staff should check the outlet itself to see that power is coming to it. If you can, try another appliance in the outlet to see if this device works and you’ll be well on your way to eliminating the possible source of your problem. Whether you have a DR System or a CR System, you will need a power supply that works before you can take X-rays. The next step that your staff should take is to check the exposure of your system. Look for the exposure light to flash and the needle to move so that you can see that images can be captured. If the light or needle does not work, it’s time to call service personnel who can find and fix your problem quickly. Remember that your waiting room is filled with animals that need immediate attention, so your check of the machine should be followed by an emergency call to the engineer who can get your equipment back up and running fast. If you encounter no problems with the exposure phase of your X-ray machine, begin to examine the processor so that you can check it for any malfunctions. You should expose some film, then place it in the processor, and check the results that you get. Black film means you need to call a professional, and grey or clear means that your developer needs changing. Also check the temperature to see if it’s at the accepted level of 32°C. Keep in mind that your owner’s manual will have a set of recommendations for you to use to find out what is wrong with your X-ray system. Be sure to follow these guidelines which will be specifically designed for the type of X-ray system that you are using. For safety measures, you may want to make a large copy of this procedure in flow chart format and place it on the wall in your X-ray area.